Configure and administer a defined technology/system (e.g., Hardware, Operating Systems, network and middleware) in support of on-going operations and projects. Provide network specific technical expertise for the support of security network system requirements. 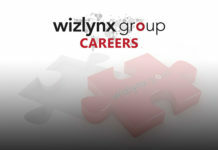 Models and acts in accordance with wizlynx group guiding principles. Support defined areas of the business, e.g. departments or countries in user and operational requirements, troubleshooting and migration to new versions.